RJ Bartlett Engineering Ltd has a thorough knowledge of fire protection system requirements in building codes, fire codes, and their referenced standards. Involvement in committees dedicated to the development of applicable codes and standards for the design and installation for fire protection systems provide staff with an understanding of the origin and intent of these provisions. 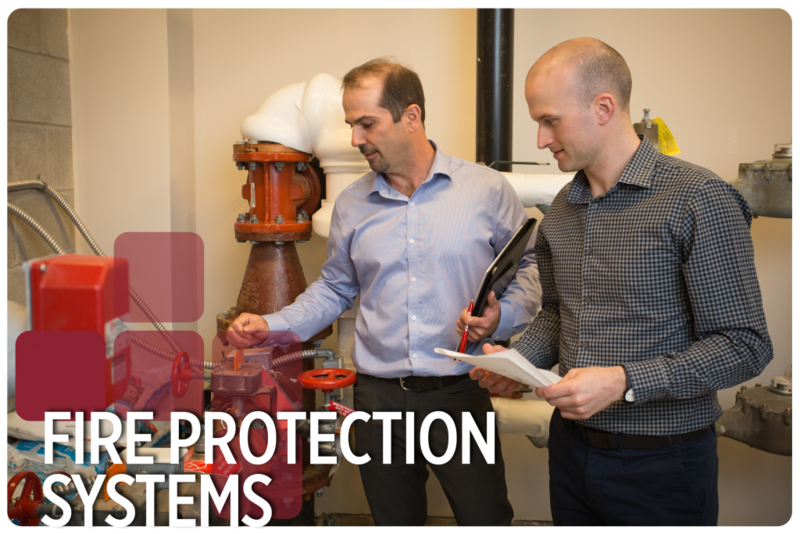 An understanding of fire dynamics, code requirements, and systems technology enables RJ Bartlett Engineering Ltd to provide a complete engineering service for fire protection systems. Working as a sub-consultant or prime consultant in providing a complete engineering design and construction supervision service for sprinkler systems and fire detection and alarm systems. Smoke control system study to determine design and acceptance criteria, and testing procedures. Computer-based calculations to determine required design air flow volumes for achieving adequate smoke control and venting. Providing solutions for client considering gaseous fire suppression systems, foam systems or other specialized fire protection systems. — George Cotaras, Fowler, Bauld & Mitchell Ltd.